Please note that ALL orders require a standard 2-3 business day order processing time, prior to shipping. This includes orders placed with FedEx Standard Overnight shipping selected or FedEx 2nd Day shipping selected. The shipping timeline begins once the order has been processed and is ready for shipment from our warehouse (2-3 business days after the order is placed). Please note, our standard ground shipping service is fulfilled by FedEx SmartPost, which is delivered by the US Postal Service. If you wish to have your order delivered to a PO Box, you must select standard shipping AND provide a PO Box number. Please note, orders shipping via FedEx Standard Overnight or FedEx 2nd Day are not eligible for delivery to a PO Box. All orders $50.00 and up (pre-tax order subtotal) receive free ground shipping* to addresses within the contiguous United States. 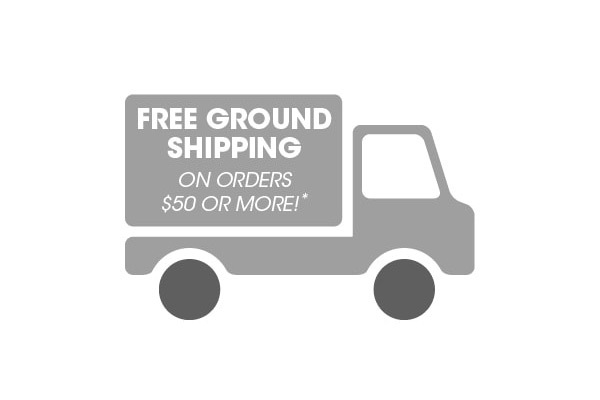 *Free ground shipping applies only to a single “ship to” address (within the contiguous United States) and cannot be combined with other orders. A flat rate shipping fee of $9.95 is applied to all orders under $49.99 (pre-tax order subtotal) within the contiguous United States. Orders shipping to Alaska or Hawaii will incur a higher delivery fee. Please note all OttLite.com orders are shipped via FedEx Ground, unless you purchase expedited service at order checkout. For questions please give us a call at 1-800-842-8848 or send us an email – we’re here to help!